If both conditions (EurekaLog is enabled in your application AND EurekaLog IDE Expert is installed) are true - then everything should be OK (see also: compilation from command line). You can confirm this by analyzing your executable module after compilation. 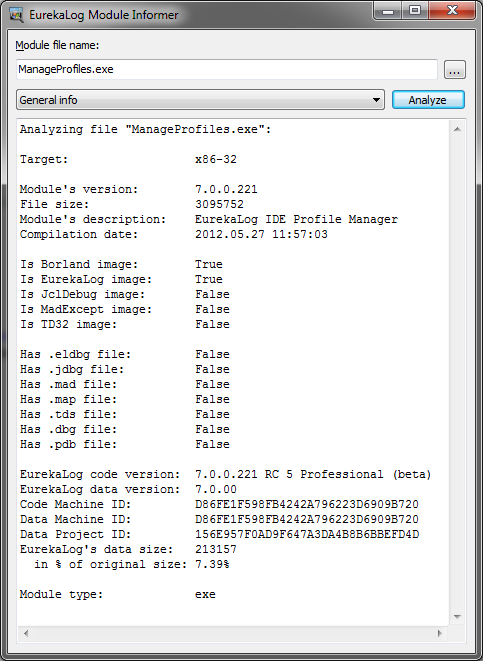 Find the "EurekaLog PE Analyzer" tool and run it (it should be in the "Tools" subfolder). Select your executable file with the help of "..." button and click on "Analyze" button. 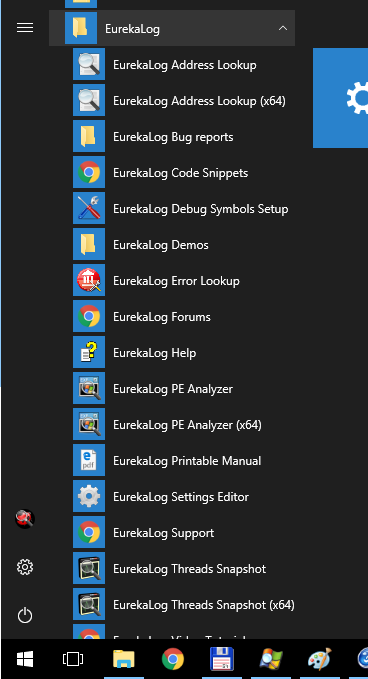 Note: you can also run PE Analyzer tool via Tools \ EurekaLog \ PE Analyzer menu item in IDE (see also). You can also change "General info" to other (more descriptive) positions. Thus, you can inspect injected EurekaLog options, used units and other information. If there is no problem with compiled executable, but it still doesn't work as expected - then you can enable debug mode to see what's going on.